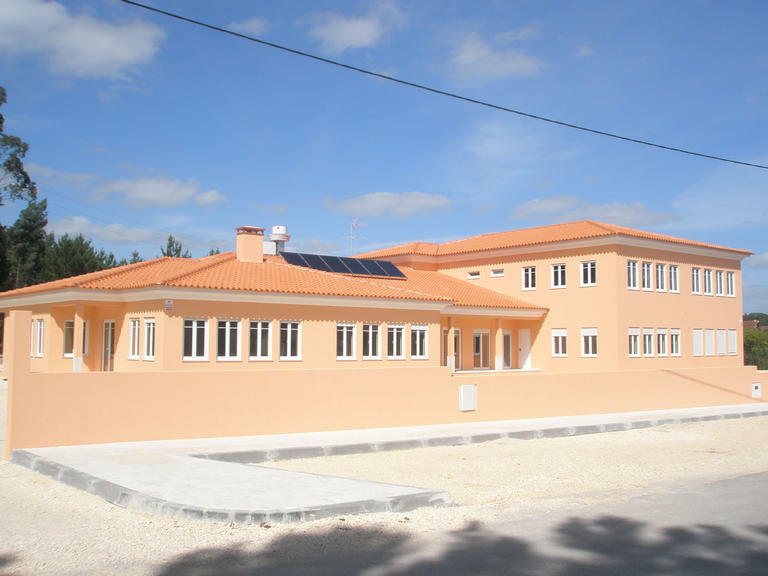 A community centre in the Portuguese village Varziela that was previously functioning in temporary facilities was refurbished and equipped with new installations. The local population got actively involved in the project, strengthening the community. The "Social and Community Center" in Varziela is a non-profit organisation established in 1991. The scope of its actions includes social solidarity and protection activities for children and youth, family, and elderly people. They are delivered mainly through home care, a day centre, a nursery, a kindergarten and leisure activities. The objective of this project was to improve facilities for the centre and thus the provision of its services for all the beneficiary groups. Particular attention was paid to addressing basic needs of these people, such as nutrition and cleaning services. The centre's facilities were completely refurbished and equipped with new installations. New equipment was purchased for the kitchen and laundry, which was critical for the services of the centre. Thanks to the investments in modernising the installations, the facilities of the centre have significantly improved. The refurbished space has also contributed to improving service provision and resulted in the creation of 7 new jobs. The activities carried out within the project have also contributed to awaken the local population's engagement with social problems and encouraged active involvement into further works of the centre. The project demonstrated a high degree of entrepreneurship and commitment of the local population in a critical situation. It has benefited from a huge engagement and voluntary commitment of people which should in turn result in a greater integration of the local community.